In a very fundamental way slavery is about power, or, more precisely, the exclusion from power of groups of people so that they can be enslaved. We see this again and again in the ways in which slavery is manifested across the world. The repeated failures of states to protect the human rights of their own citizens and immigrants to their countries are examples of this. Just yesterday Guardian journalists exposed how thousands of Romanian women migrants are being subject to forced labour and terrifying levels of sexual abuse in Sicily while the authorities turn a blind eye. If those of us who are European cannot even protect our fellow Europeans from slavery, what hope is there for those who lack the rights of citizenship? 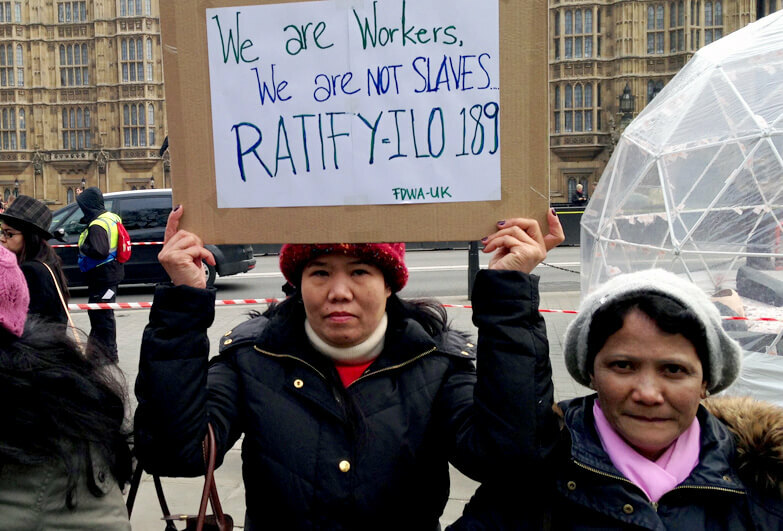 The experiences of women exploited as domestic workers in the UK, or the South Asians who have been enslaved by state collusion in construction and domestic work in the Arabian peninsula, are dispiritingly negative. Consequently a major part of the work of Anti-Slavery International is about challenging governments to change the ways they govern, to eliminate the negative consequences of policies that sometimes facilitate the conditions for unscrupulous employers to exploit and enslave vulnerable workers. Towards this end we have frequently been publicly critical of successive British governments. And yet they often fund us and continue to invite us to events like this. I think this is a vital point and a tribute to the British Government. If there is to be an effective struggle against slavery it will require a broad coalition of governments, businesses and civil society, particularly organisations of women and girls who are or have been directly affected by slavery, to engage in a range of challenging and difficult conversations, not least on gender assumptions and prejudices. So I encourage other governments to similarly nurture their civil societies, and I would suggest that when we see the opposite, such as currently in parts of the Middle East and South Asia, it is a strong indicator that the government in question is not serious about addressing the fundamental issues that underlie slavery in their society. Slavery flourishes particularly well when it is not called slavery, for example, when it is conducted under the guise of marriage. This is a form of slavery overwhelmingly affects girls and young women, and because it affects girls and women this is a form of slavery that is poorly acknowledged as such. But, where children are denied the right to refuse or leave a marriage, where their freedom of choice within a marriage is denied, or where the labour of the child is exploited as part of the marriage, then that is not in fact a marriage but a socially sanctioned contract for slavery. 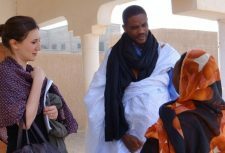 The toleration of forced child marriage represents such a fundamental denial of the rights of millions of girls that it provides a fertile ground for the evolution of yet more egregious abuses such as the misogynistic depredations of Boko Haram and Islamic State. So I would again like to pay tribute to the British Government’s domestic and international leadership in the struggle against forced marriage. I would suggest that the ending of forced child marriage is critical to advancing and promoting the rights of women and girls and hence in ending slavery. Of course the corollary of the insight that slavery is about power and exclusion from power is that those approaches that are most likely to successfully reduce slavery are ones that empower those most vulnerable to it. Education is fundamental. One of the reasons we see so much child labour, for example, in the agricultural sector of the global south is that there are not enough schools. But there must be a paradigm shift in the provision of education in particular to slavery vulnerable communities, such as the Dalits of South Asia. Girls’ rights must become central to education policy in a way that they have never been, both in the provision of infrastructure, including separate safe sanitation facilities for girls, and in the curriculum. Human rights education must be foundational to break down the prejudices which contribute to the exploitation and violence that women and girls face every day. 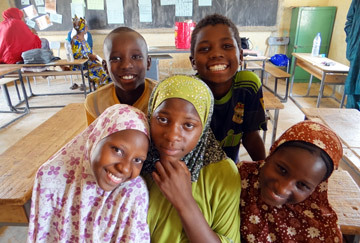 Girls and boys, should be provided with vocational and entrepreneurial education so that it provides greater opportunities for economic empowerment once they leave formal schooling. The gender aspects of slavery, particularly how it affects women and girls, demonstrates the critical need for a human rights approach if we are to have any hope of a reduction in slavery, let alone its eradication. This is a matter which governments, businesses and civil society, in particular aid and development organisations, must urgently take up.